When thinking about Finnish game design, I really wanted to include Remedy Enertainment's pivotal 2001 third-person action title Max Payne, or their more recent thriller Alan Wake. But at the end of the day if I was going to pick one game to represent Finland, I knew it had to be Angry Birds. With the infamous animal-tossing game, Espoo-based developer Rovio Entertainment not only put Finland on the gaming map, but showed the industry that mobile gaming could be just as profitable as any AAA blockbuster. 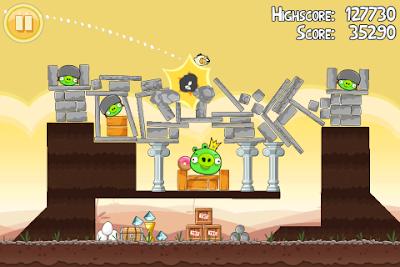 At this point, Angry Birds is ubiquitous on smartphones and iPads. The eponymous grumpy poultry have grown into a merchandizing powerhouse with toys and clothing. There's even an Angry Birds-themed amusement park in its home country, with another one in China on the way. As Northern Europe becomes a new powerhouse of game development, we can't ignore Rovio. They've even licensed one of the biggest names you can license, with Angry Birds Star Wars. Hopefully this windfall of game-related revenue in Finland sparks more growth of game studios in the country--and not just ones making iPhone games.